Tomorrow, 24th January and Saturday, 26th will be two, important days for the #YellowFluoOrange Team: the girls directed by Giuseppe Lanzoni will race first on the Melbourne City Autodrome, “theater” of the Australian F1 Grand Prix, at the Rowards Zero Race, a criterium composed by 12 laps of the Albert Park Circuit. Saturday, 26th in Geelong, seat of the 2010 Road World Championships, there will be the Cadel Evans Great Ocean Road Race (Cat. UCI 1.1), where the Commonwealth Champion Chloe Hosking is the last winner. The overall race is of 115 kms and the Challambra climb, at just 15 kms from the finish, can change the chances of victory for many athletes. 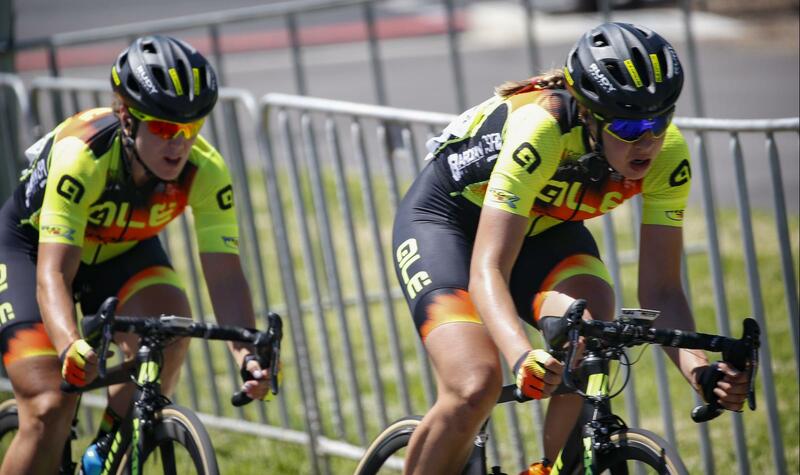 The two Australian events for Alé - Cipollini will be raced by the same line-up of the Santos Women’s Tour Down Under: With Chloe Hosking there will be the Italians Jessica Raimondi and Nadia Quagliotto, the Dutch Marjolein Van’t Geloof, the German Romy Kasper and the Japanese National Champion Eri Yonamine, who will be directed by Giuseppe Lanzoni.